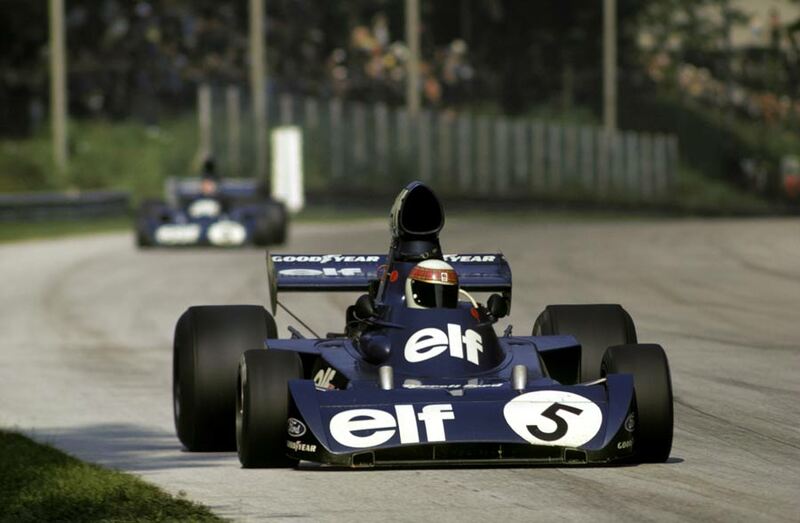 Ronnie Peterson won the Italian Grand Prix at Monza and although his team-mate Emerson Fittipaldi took second place, it couldn't prevent Jackie Stewart from winning his third world championship. James Hunt crashed his March beyond repair in qualifying and Peterson secured pole from Peter Revson and Denny Hulme. Fittipaldi qualified fourth and Stewart was on row three. Peterson and Fittipaldi led away with Denny Hulme's McLaren settling into third place ahead of Stewart and Revson. Stewart pitted with a puncture that dropped him down the order while Hulme clobbered a kerb and needed the car checking over. It promoted Revson to third place but the highlight was Stewart's recovery, the Scot picking his way through the traffic and finishing in fourth to secure the championship. With Stewart fourth, Fittipaldi couldn't affect the title outcome and so Lotus allowed Ronnie Peterson to keep his lead and with the Brazilian following him home, Lotus scored its first one-two finish in five years. "Today's race was one of the greatest I have ever driven," said Stewart afterwards. "I had the entire field to catch and pass after puncturing. My heavt sank when after only two and a half laps my car began to feel wrong. It took me another two laps to recognise the problem, a puncture In the I6ft rear-tyre, and I came in to change the wheel. There was only 6lbs of pressure left In the tyre. "Once in the pits my mchanics did a terrific Job. The real congratulations today belong to them. If they had fumbled the wheel change I would not have been able to finish fourth or in the points, come to that. "For me. coming fourth and winning the championship from behind, was perhaps better than winning the race Itself. I have won races before but today was the biggest challenge I have ever taken on In racing."